Situated on a lake, this guesthouse is within 2 mi (3 km) of Gloucester National Park, Flora Park, and Pemberton Community Centre. Pemberton Historical Park and Pemberton Forest Park are also within 3 mi (5 km). Pemberton Tramway Company is 27 minutes by foot. 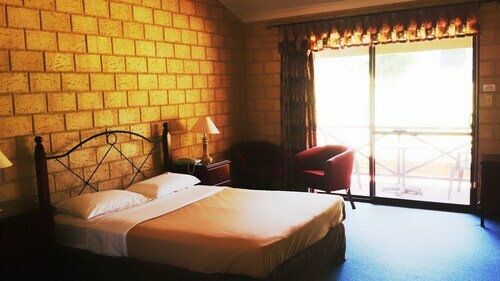 Situated in Pemberton, this motel is within a 5-minute walk of Flora Park and Gloucester National Park. Pemberton Community Centre and Pemberton Historical Park are also within 1 mi (2 km). Pemberton Tramway Company is 14 minutes by foot. Situated in the historical district, this hotel is 1.7 mi (2.8 km) from Gloucester Tree and within 9 mi (15 km) of Dave Evans Bicentennial Tree and Lost Lake Pemberton. 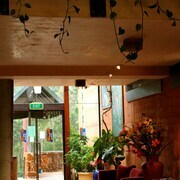 Mountford Organic Wines and Beedelup National Park are also within 12 mi (20 km). Pemberton Tramway Company is 7 minutes by foot. 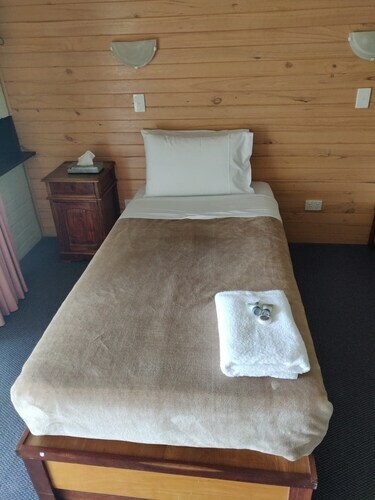 Situated in Pemberton, this motel is within a 10-minute walk of Gloucester National Park, Flora Park, and Pemberton Community Centre. Pemberton Historical Park and Pemberton Fine Woodcraft Gallery are also within 15 minutes. Pemberton Tramway Company is 15 minutes by foot. In the South West part of Western Australia, Pemberton is a charming town that attracts a large number of tourists throughout the year. 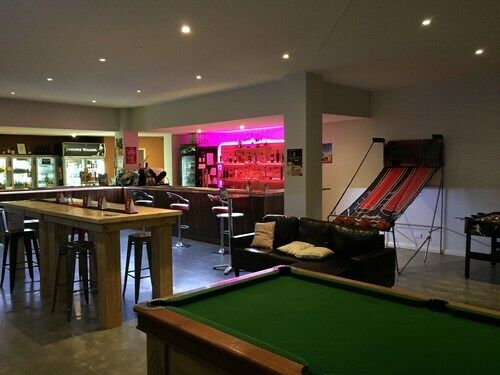 With a rich variety of things to do and lots of excellent Pemberton accommodation, it is hardly surprising that so many people choose to spend their holidays in Pemberton. Pemberton was known as Wandergarup ("plenty of water") by the original Aboriginal inhabitants. It was renamed Pemberton after the first foreign settler arrived. 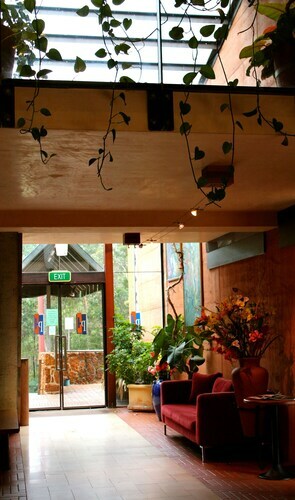 Pemberton enjoys a beautiful location in a valley surrounded by stunning national parklands. Nature lovers and adventure activity enthusiasts will certainly be in their element! There are loads of native creatures to try and spot, and in the Gloucester National Park, there are three soaring trees that you can climb for thrilling fun and to admire the sweeping views from the lookout points at the top. You will find the biggest natural freshwater lake in Western Australia, Lake Jasper, close by. Explore the local galleries, where you can see a wide range of products crafted using wood from the forests, and marvel at the gorgeous Cascades and attractive Beedleup Falls. Popular activities in the area include swimming, fishing, bush walking, 4WD adventuring, canoeing, and kayaking. Soak up the sights as you relax on the historic tram. Pack a picnic and head out into the great outdoors for the whole day. There are vineyards and wineries with a tempting array of locally produced and delicious wines. There are loads of places to eat in and around Pemberton, and you can often enjoy a tasty meal with great views at one of the lovely wineries. To enjoy the best of Pemberton, book a cheap flight to Perth and a terrific Pemberton hotel with Wotif. How Much is a Hotel Room in Pemberton? Hotels in Pemberton start at AU$106 per night. Prices and availability subject to change. Additional terms may apply.